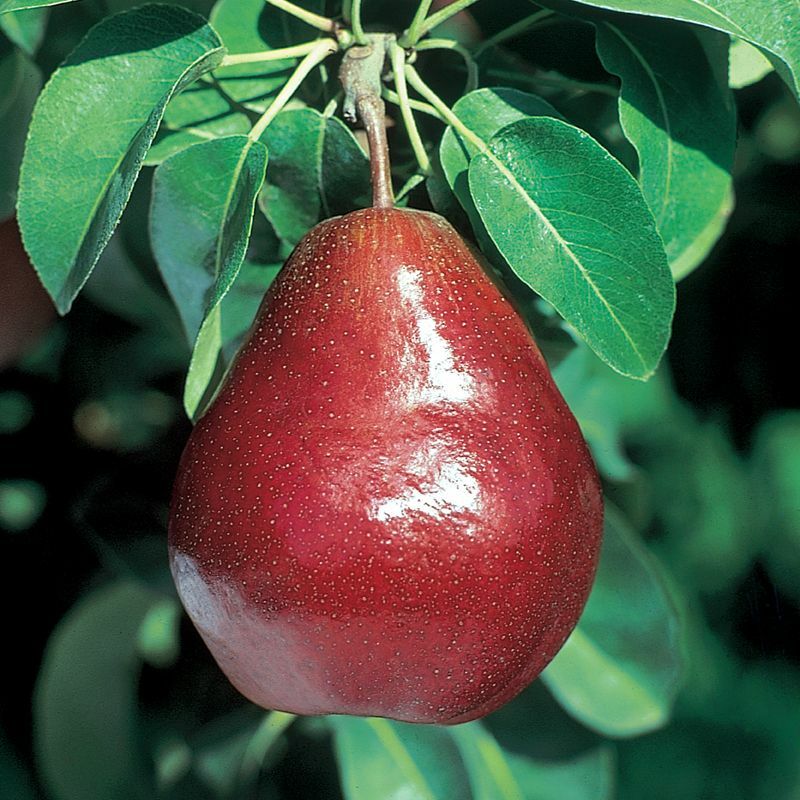 Red D'Anjou pear trees are hardy, productive trees that yield brilliant red, aromatic fruit. Red D'Anjou pears have smooth skin and soft, juicy flesh with a sweet, mild flavor. Flavor peaks about 2 months after harvest and color improves in storage. Best harvested in September, yielding medium-large fruit. Red D'Anjou pears originated from a natural mutation of the Green D'Anjou pear on a tree near Medford, Oregon. Red D'Anjou is nearly identical to the Green D'Anjou apart from its deep red coloration.